Nicholas Hoult was born in Wokingham, England, United Kingdom, on December 7, 1989, is an English actor. 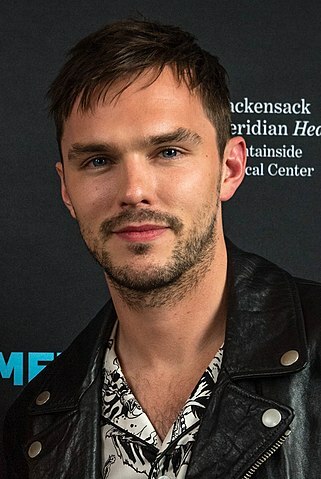 Young Nicholas Hoult began his acting career on stage, in local theatre productions as a child. He made his big screen debut in the drama comedy film Intimate Relations (1996) in role as Bobby, at the age of seven. Hoult's breakthrough role came as Marcus Brewer in romantic comedy drama film About a Boy (2002) opposite Hugh Grant. He played Henry "Hank" McCoy / Beast in X-Men movie series: X-Men: First Class (2011), X-Men: Days of Future Past (2014), X-Men: Apocalypse (2016) and X-Men: Dark Phoenix (2019). His hobbies include riding motorcycles, Go-Karting and playing basketball. He dated actress Jennifer Lawrence (2010-2014). He played Tony Stonem in the British teen drama television series Skins (2007-2008). He started dating American model Bryana Holly in April 2018, they have one child. I don't like watching myself. I get embarrassed. I try not to be too optimistic or pessimistic. If you're a pessimist then that's depressing all the time; if you're an optimist and things don't work out then that's depressing, too. I'm happy with my career and I'm not going to have the trouble of being typecast. The lead actor, along with the director, plays a big role in what the vibe will be on set, and that's a huge responsibility. As you're growing up, it's odd, because directors don't expect you to grow up. They think you'll be young forever, but as an actor, there is an awkward period when you're too young for old or too old for young, and it can be an odd time.